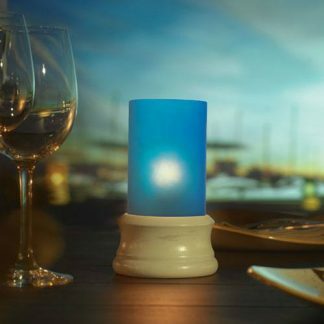 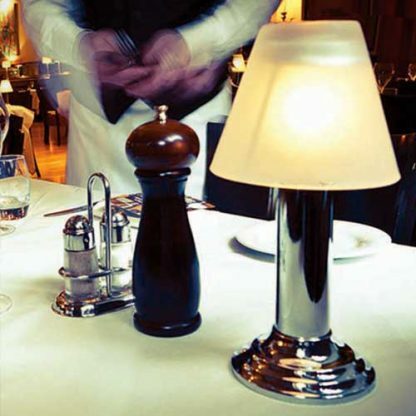 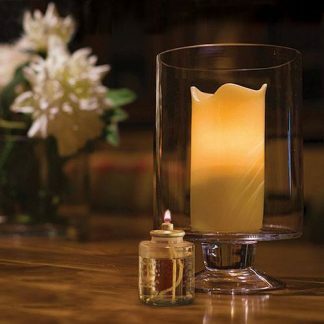 Our tallest candle holder, ideal for fine dining. 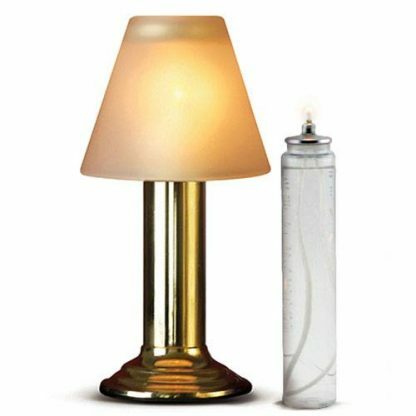 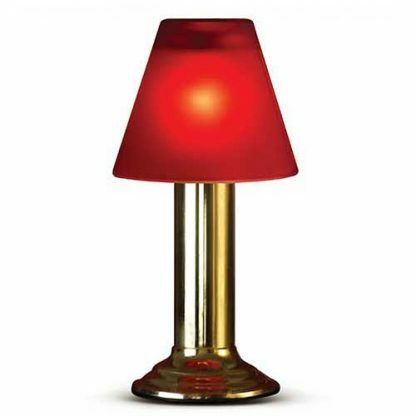 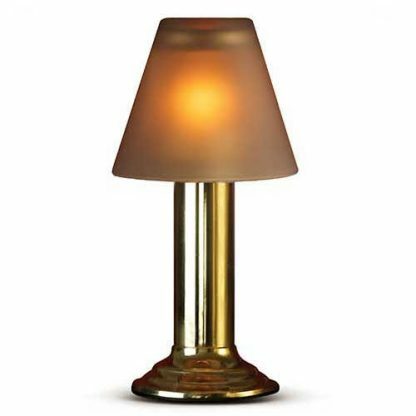 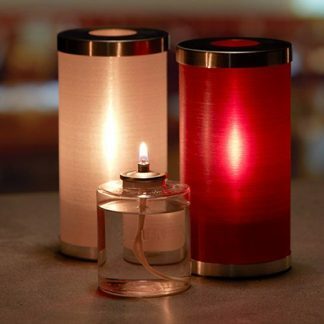 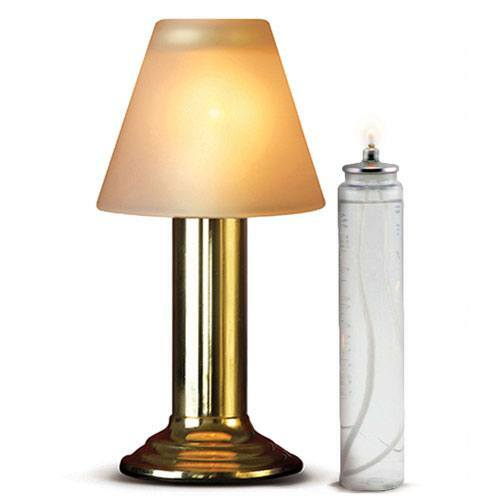 The Heritage lamp range of candle holders complement your décor and table settings with the metal base unit that houses the tall slim code 340 Liquid Wax Candle is available in both polished chrome or rich gold. 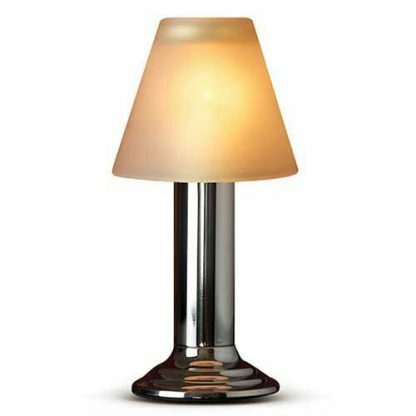 Finished off with a chunky glass shade available in frosted white, rich red or warm grey this lamp creates classic ambient lighting.